They were accompanied by Ms. Nasulin Cithara. S.I. (Physics) teacher. 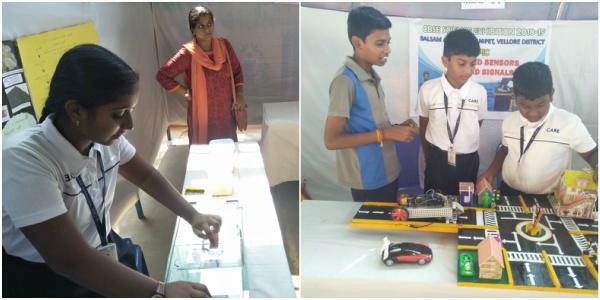 35 schools participated in this exhibition. The Chief Guest was Mrs. Aruni Majumdhar (Deputy Secretary of CBSE). 14 teams were selected from Tamil Nadu and we are very proud to state that our student Yassasvinee Arvind has also been selected to participate at the national level. Congratulations and all the best. May victory touch your feet.